If you want to watch all three videos now, though, they are available as a video download as part of my new Latest in Clinical Nutrition volume 28 (all proceeds go to charity). It can also be ordered as a physical DVD. 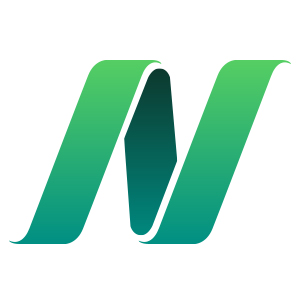 The vitamin C videos are all scheduled to go up on NutritionFacts.org next year, but you can download and watch them right now. Other topics I take on in this volume include preserving immunity in athletes, how to change your microbiome, the French paradox, the use of fennel seeds and ginger for menstrual cramps. The one that most changed my own family’s diet was Lead Contamination of Tea, in which I do a breakdown of the risks and benefits for green, white, black, and oolong tea for children, pregnant women, and adults in general. 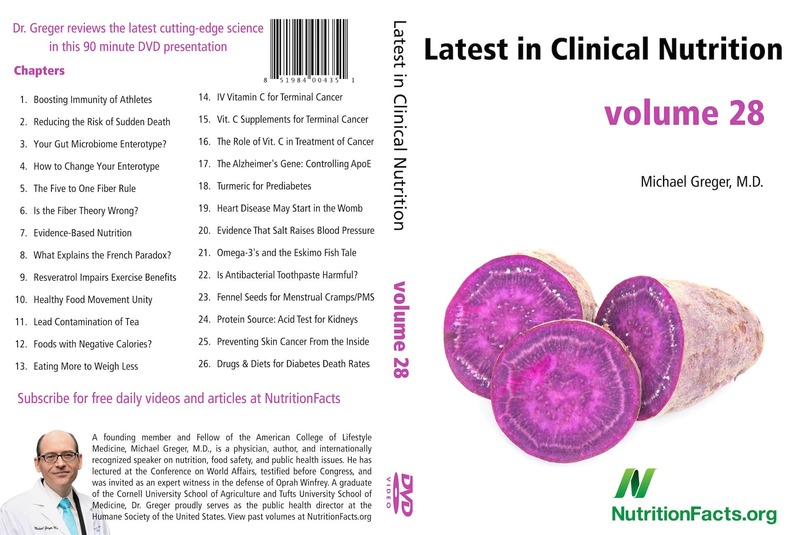 The current batch of videos from volume 27 on NutritionFacts.org just ran out, so starting next month and running until February, I’ll be rolling out the videos from this new DVD, volume 28. The DVDs give folks the opportunity to sneak-preview videos months ahead of time, watch them all straight through, and share them as gifts, but there is nothing on the DVDs that won’t eventually end up free online at NutritionFacts.org. If you’d like the works–50+ hours of video–you can get the complete DVD collection. If you were a regular supporter, you’d already be a vitamin C expert by now, having already received the new DVD. I come out with new DVDs every 9 weeks. If you’d like to automatically receive them before they’re even available to the public, please consider becoming a monthly donor. Anyone signing up on the donation page to become a $15 monthly contributor will receive the next three DVDs for free (as physical DVDs, downloads, or both–your choice), and anyone signing up as a $25 monthly contributor will get a whole year’s worth of new DVDs. If you’re already signed up and didn’t receive your volume 28 yet, please email Tommasina@NutritionFacts.org and she’ll make everything all better. I can’t wait! My new book How Not to Die comes out on December 8th, so there’s less than one week left to take advantage of my offer to sign and personalize copies for yourself and everyone on your gift list. Go to https://nutritionfacts.org/bookplates/ for more information. All proceeds I receive from the sales of all my books, DVDs and speaking engagements are donated to the nonprofit organization that keeps NutritionFacts.org alive, from which I receive no compensation. I give thanks for all those who have supported my life’s mission to reduce suffering and save lives. I’ve watched so many videos now that I always think I’ll be bored by the next volume. Nope. Once again I am sucked in and devouring the information. So, so interesting! Thea you don’t wait to watch with your morning coffee? I love my ritual!! Is caffeine ever safe for pregnant women? i used to look forward to viewing the short, informative videos that i ot in my emails from dr. mcgregor; but now it seems that i have to pay for them. i can’t afford that, so i’ll be canceling my subscription to his emails i’m sad. all videos will be eventually released for free. The emails are free but if you want to buy the DVD to get the information sooner than you are able to do that. Otherwise stay tuned and enjoy the information in small videos like always.